A new responsive / mobile friendly website built using WordPress, a content management system. 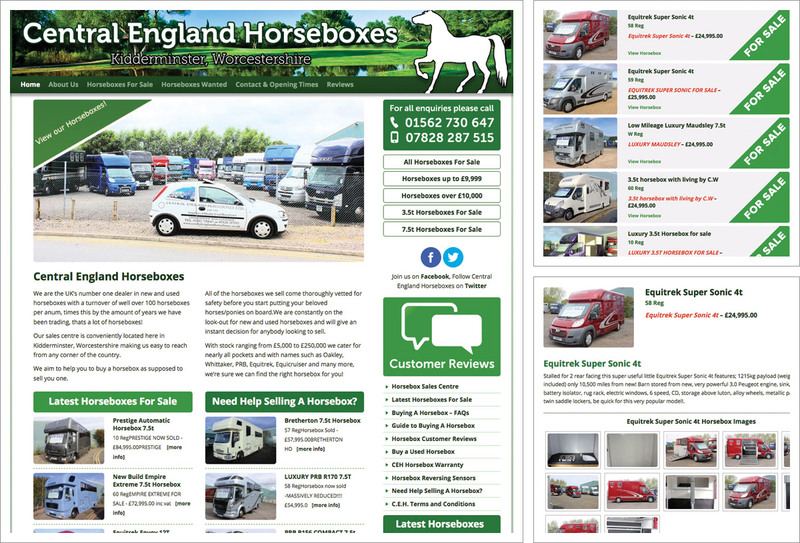 A content managed site allows the website owner to make certain changes themselves which is essential with a busy horsebox sales centre and ever-changing stock. The new website includes a homepage with changing image banner which showcases their horsebox sales yard and some of their stock, About Us, Horseboxes for sale, Horseboxes wanted, Horse trailer hire, Testimonials and Contact page which includes a secure online contact form. Horseboxes can be filtered by price range, size, latest horseboxes for sale. WordPress offers great capability when it comes to search engine optimisation with each and every page optimised for search engines for appropriate keywords and phrases.